The Dunton Life collection was launched in 2001 with the opening of the now iconic Dunton Hot Springs, a restored ghost town set in an extraordinary alpine valley. The town’s original 19th-century “Wild West” log cabins have been transformed into 12 romantic and luxurious accommodations. Its spa is fed by natural mineral hot springs that have been curing body and soul for centuries, ideal for de-stressing from the myriad activities available to guests. 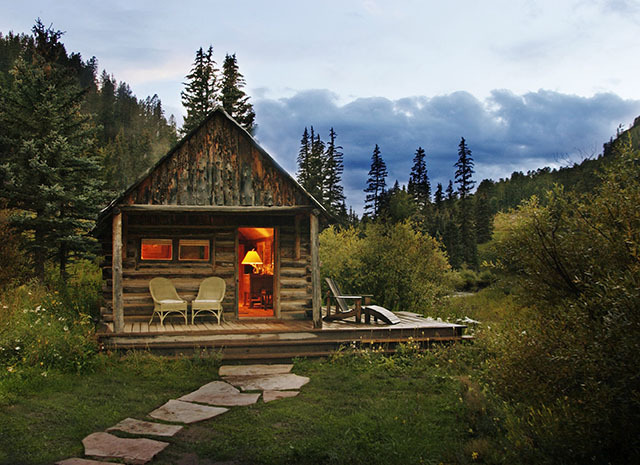 Located four miles from Dunton Hot Springs at Cresto Ranch, Dunton River Camp is a seasonal tented camp comprised of eight luxurious canvas tents with en-suite bathrooms and gas stoves, as well as a restored 19th-century farmhouse where guests come together for meals, bonfires and spectacular views of the surrounding San Juan Mountains. And the newest member of the Dunton Life portfolio is Dunton Town House, a converted historic inn in the heart of downtown Telluride, just steps from the gondola (for a quick ride up to the mountain resort), as well as the chic mountain town’s best restaurants and shopping.